Polypropylene is a thermoplastic material brought about by the polymerization of propylene gas. It exhibits a good balance between chemical, thermal and dielectric properties enabling it’s varied use. Polypropylene is lightweight and easy to weld, with a continuous operating temperature range between +5°C and +100°C. 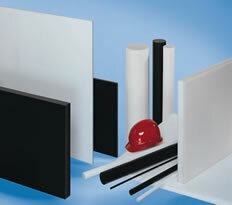 Macplas LTD is able to supply a range of Polypropylene solutions in rod, sheet, tube and profile form. PP-H with improved electronical conductivity. A higher stability in contrast to the standard PP. Volume resistivity ≤ 106 Ù, Surface resistivity ≤ 106 Ù.